It’s not too early to get your teams in for Moneyball’s round 17 contests. Pick your teams for the big Sunday games before the 1:10pm lockout. If you haven’t had a crack at Moneyball yet, then the bye rounds are a good time to get involved. There are some pretty epic contests happening in round 17. First up, you should enter a team in the guaranteed $1.5K Fantastic Friday ($10 entry) and the $1K Friday Fever ($20 entry). Make sure you have entered these before the bounce on Friday evening at 7:50pm AEST. Then on Saturday there is the guaranteed $2K in the Saturday Slam ($10 entry) plus the $1K Super Saturday ($20 entry). Click here to enter your teams. 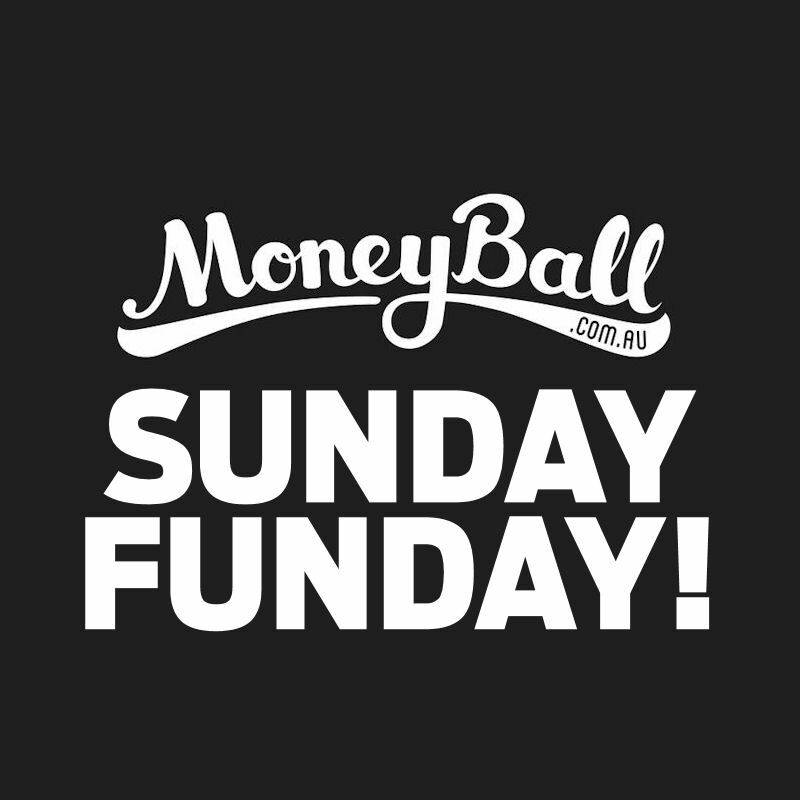 The Sunday game has a guaranteed $2K for our favourite, Sunday Funday ($10 entry). But don’t miss the Sunday Lobster ($20 entry) for another $1K prize pool. That’s $8,000 worth of prizes up for grabs this weekend… and that’s only those contests (yep, there are heaps more on the site). Start picking your teams now and don’t forget you can edit right up until the first bounce in the opening game of the contest. Prices are a little different to what we are used to in AFL Fantasy. In your salary cap of $60,000 you need to choose 9 players (2 forwards, 1 ruck, 4 midfielders, 2 defenders). Be smart with picking your team as there are plenty of bargains to help you fill your squad at an average of $6,667. Prices will change after round four. Sign up and get all registered to take on us in some different games. Just search up DT Talk and you will find a couple of different options each week. We will add more contests when others fill up. * 18+ only and please gamble responsibly. Loving Moneyball!!! Scored $145 last week. Any chance of an app? Even though the mobile site aint too shabby!! There is an app… on iPhone at least. Search it up in the store. I can’t see one for Android old mate. Ummm there’s a Thursday game this week? I don’t think so..
Ah thanks… the old copy and paste (even though I thought I fixed that up last week). Oops! I’m actually glad there isn’t a Thursday game this week (or any more this season). It messes with my head. I think I would love it if I wasn’t ‘working in the industry’. Makes for a mental Thursday/Friday in my world.